It's so nice of the members of the investigation team to show just how fair and impartial they are being. And yes, I'm being extremely sarcastic right now. So, what did you think draining the swamp was going to look like? It's kind of like the movie The Exorcist, you don't stop doing the exorcism just because "the possessed" in this case the system, is using every BS tactic available to them to try to keep you from proceeding. No, you stay the course no matter how much they freak out. And the very fact that they are freaking out is proof that you're touching a nerve. It's actually a good sign. The real American people (read: ordinary people, not the Hollywood elite that use the media that they also happen to control to unfair advantage), they aren't falling for it this time. The lady didn't support the ban on legal grounds, and said so, then got kicked out, neither did this investigator by the looks of it, but that's it... why should he have been kicked out of anything for having an opinion. Mueller's later investigation has nothing to do with unconstitutional travel bans. The lady should be applauded for doing her job properly...in people's interests. But obviously, some guys here don't care about that, they want rid of a prosecutor because he's a Democrat. So what to do, replace him with a Republican? Mueller's a Republican isn't he, there you have it, at least one of each...or maybe yu's all want to start on Mueller next...ffs wise up! You mean the order SCOTUS just said was legal?? You like to leave bits out methinks, this is not a final ruling, nor was it unanimous...but I guess you don't know what that means, otherwise you would have replied honestly. I'll grant you that Sessions is happy enough...so he says. Funny thing, Sessions is the man that asked Yates at her senate hearing to stay on her job, would she ever say no to the President, and he was happy with her reply then. Sen. Jeff Sessions (who happens to be Trump’s AG nominee) asked Yates during the hearing if she would feel empowered to say “no” to the president if he asks for “something improper?” “If the views that the attorney general are unlawful, should the attorney general or the deputy attorney general say ‘no,”‘ Sessions asked. The Attorney General or the Deputy Attorney General has an obligation to follow the law and the constitution and to give their independent legal advice to the president,” Yates replied. You go and ask her if she has changed her mind since? I think once this special counsel business wraps up Sessions will be gone. Trump is not interested in an AG that won't do their job. And I don't think many on the left will lose sleep over him being fired. Just going off Sessions stance on a lot things the left disagrees with. Please stop. I'm exhausted from all the laughing. Thank you ATS. Deutsche Bank bombshell fizzled out and now this. 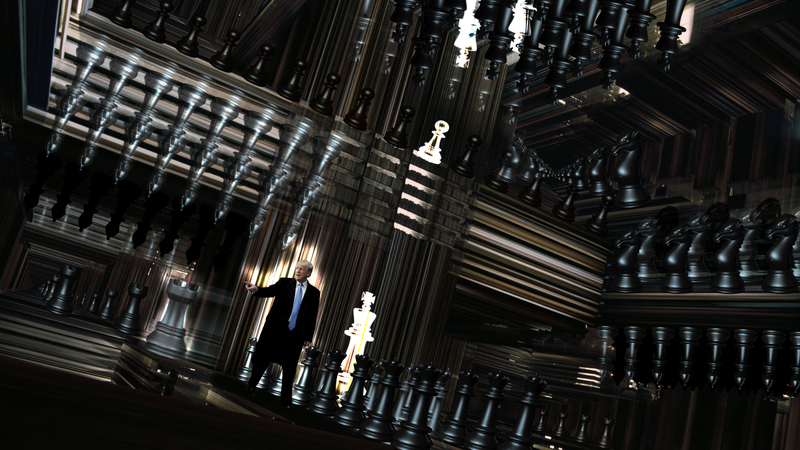 Did i mention that Trump plays 40D chess and the others checkers. Trump said we will never get tired of winning. Another promise kept. This kind of thing is always going to happen. Mueller should get rid of bad eggs like this immediately and notify the proper officials that it was happening. I know he did eventually do it, but the last guy running things didn't. WHAT? He's a bad egg for being proud of someone for refusing to disobey the law? The courts repeatedly didn't uphold his 'muslim ban", and she told him that. And THEY are the bad eggs? Good God. What's happening? Just to clarify, if the supreme court upholds the ban, then you are wrong, and she did not refuse to disobey the law, but refused to carry out a lawful order as her job duties required. And it looks the the suprem court will most likely rule that way. He's got his Supreme Court now, so. It wasn't a lawful order, as it was later adjudged by how many courts? Three? So no. She was refusing to carry out an unlawful order, which was not a part of her job duties. Why don't we call this what it is. It is a Coup. Maybe it is time for these investigators to be tried for treason. Mueller should really think about what his master's are making him do.